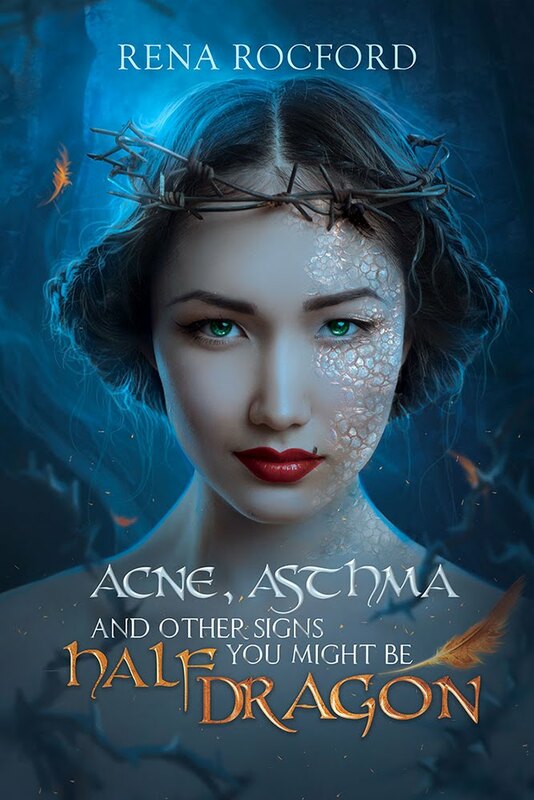 Doctor Faerie Godmother: This is not the Insecure Writer's Support Group Post You were expecting. 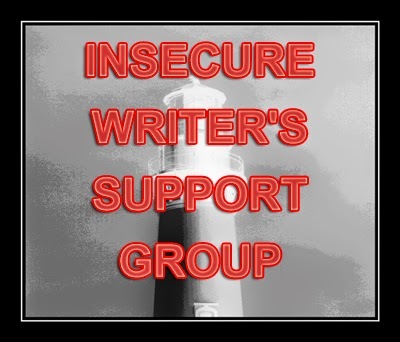 This is not the Insecure Writer's Support Group Post You were expecting. Insecure Writer's Support Group posts on the first Wednesday of every Month. If you don't know what I'm talking about, visit the ninja captain Alex and hop on the Linky. This month's co-hosts are Krista McLaughlin, Kim Van Sickler, Heather Gardner, and Hart Johnson! Yeah, you heard me right. I don’t use commas well. It all started twenty years ago (Yeah, you know you’re old when you can start stories like that—Oh, and Crap, I’m old! I Can start stories with “two decades ago…”). Right, so two decades ago, I signed up for a correspondence course. A writing course. I’ll even admit that it was the first—AND LAST—fiction writing class that I ever took. It may have colored my opinion a bit. I should maybe try another, you know, just in case the one from twenty years ago was anomalous, but I digress. Twenty years ago, I was told that I used too many commas. Granted, I probably was somewhat lacking in that particular aspect of punctuation (you should see my dire lack of hyphenation now!). Regardless, I was mocked. I was not yet twenty, but the correspondence teacher didn’t know that. It was a college level course after all, ergo, I was a college student. He mocked my comma usage, and from that moment on, the comma had EXACTLY one use: to join independent clauses with a conjunction. That. Is. IT. For years—DECADES even. Fast forward to some of my earlier work. One nameless reader of my early work once quipped “What did commas ever do to you?” Well, they were the vehicle of my humiliation, so nothing personal comma. Don’t expect to find yourself unnecessarily inserted into my sentences. I’ve been informed that commas come where you would take a breath if you were reading aloud. Let’s face it: some of us are longer winded than others. I’ve been informed that commas are only for lists. Commas are for separating ideas. Commas are for lists, but never use them on the third, or serial comma. It is confusing. Commas are for dependent clauses, but not independent ones--as if emancipation of a clause mandated its comma usage. Commas are to ensure the unsplit nature of infinitives. Commas are poorly utilized in the English Language. After two decades of bumbling around and studying this grand language of ours, I now have opinions on commas. And because I am insecure about them, I will now foist them upon you. Remember, I had to be mocked into this tacit list. Ignore at your own risk, but by no means should you take my word for it. The oxford comma is—in my opinion—non-negotiable. Use it. It will clarify numerous issues, including, but not limited to, whether JFK and Stalin were strippers. Use a comma before the conjunction joining two independent clauses. A comma is appropriate to set apart a prepositional phrase, particularly at the beginning of a sentence, but it is, on occasion, discretional. A comma is always appropriate following dialogue that precedes a dialogue tag. It is also appropriate prior to dialogue when a period would be awkward. If you have an aside—an interjection, per se—consider the ‘m’ dash instead of a parenthetical comma. Utilize commas at your discretion when joining a dependent clause to an independent clause.This one will take finesse and, dare I say, discretion. Which brings me nicely to my last comma rule: if you can break the two clauses with a period, do so. There is nothing finer in the English language, than the finality of a period. End. Stop. (bonus points if you have a bloody clue what an end stop refers to). So, what about you? Have any hard and fast rules on punctuation? And just so as we’re clear, I’m serious about that Oxford comma. Commas have many uses. One is to make sentences grammatically correct, another is to let the writer write artistically. Do whatever feels right for you. However, it your readers ask you to add more commas for clarity, I'd suggest doing it. It's always better to have too many commas than not enough. In my experience, people use punctuation rather willy-nilly (Oh, perhaps I should mention that I'm a freelance editor?). There are certain rules for punctuation that make your intentions more clear, of course. But everyone--EVERYONE--screws it up occasionally, or takes a little liberty with their usage to get a point across. Take for instance the Period. Every. Word. to make a sentence drag out and emphasize the cadence it should be read/spoken in. Not normal punctuation! Commas are very obscure and hard to get to know. I think you just have to keep at it and know that most of the reading public will forgive you your slights unless they feel like you're flagrantly ignoring the rules. I think people who mock writers they should be critiquing them have a special circle in hell. As for commas... Depends. I put my writerly intentions before any rule. Yep. I know the rules. But who says I can't bend them to make the impact I want to make? Commas. Ugh. Some of the uses are logical. I can see when and where to put them. Other times ... yeah. I do my best and plow onward. I don't remember learning the rules for commas, but I know when there's one missing or one where there shouldn't be one. That's my story and I'm sticking to it. ^_^ Wholly with you on the Oxford comma, though; the JFK-Stalin-strippers example is easily the best way to define it I've ever seen. With you on 'm' dashes as well, though I think our agreement to never ever discuss 'n' dashes again still stands. Heh! I can't sneeze under 300 words either and I LOVE that you broke that rule! I've had critiquers give me completely contradictory feedback on my commas, it's such a troublesome part of grammar! you are cracking me up. commas, girl? that's what editors are for =) jk! they are a hard piece of grammar to get right every time. Fortunately, not many of us readers know if the authors and editors got them right or not either! i like the oxford comma, too. and guess what - the rules have changed. there are two generations between my editors, and they each had different comma emphasis. It was hard to know which way is the right way. Which tells me, use my best judgment! ps, i loved the sneezing 300 words too! and thanks for supporting my bbf blog tour!